Submitting a tournament on smash.gg is a process designed to be as quick and easy as possible. Once you’ve filled out a few details, there will be a small waiting period while you wait for approval. If you're looking to copy settings from a previous tournament, this can be found under "Copy Tournament Settings". See this article for more information on copying settings! After hitting Create Tournament, you are brought to your new tournament and the Things To Do page. 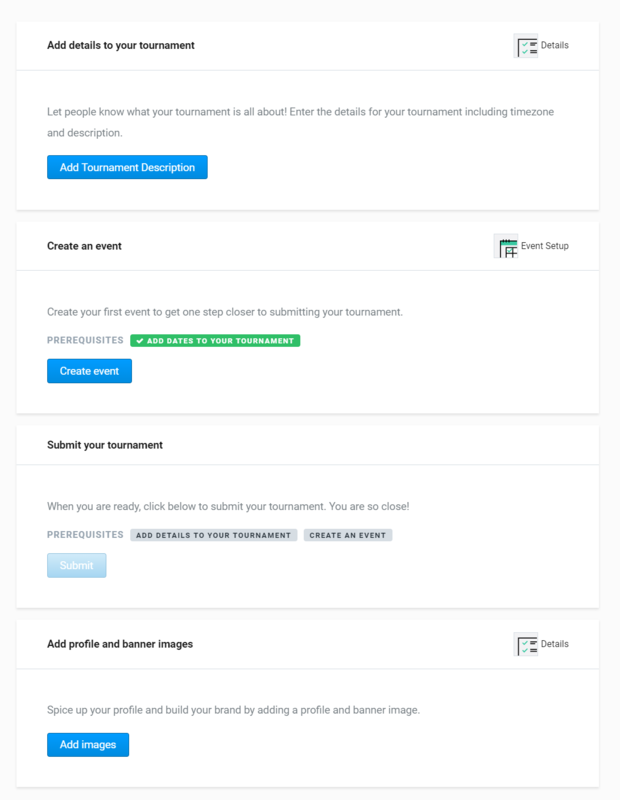 On this page, you are given a list of actions that you’ll need to complete to get your tournament going. The Things To Do section in the top left will show you your remaining tasks. If you click "You have x things to do", it will take you to the page that shows you all tasks you have left to complete before you can submit your tournament. 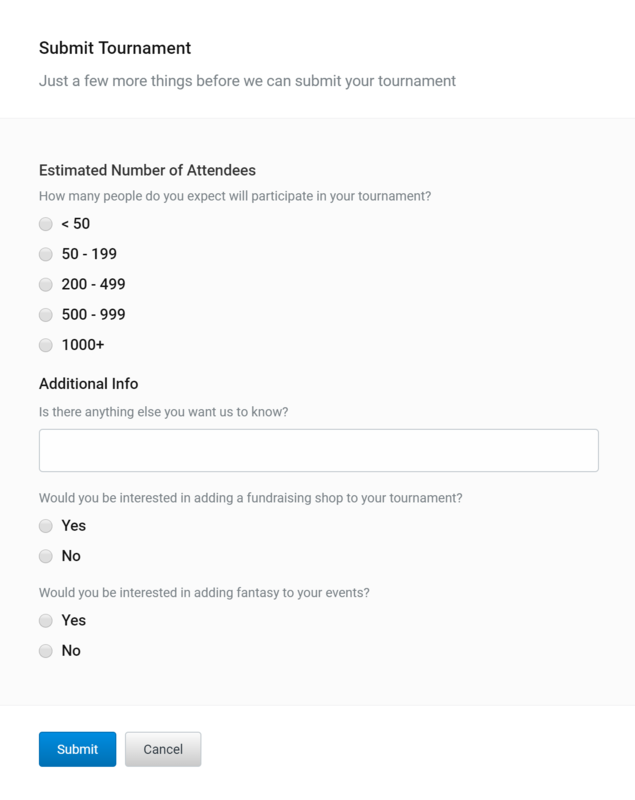 Once all of the prerequisites have been met, you’ll be able to submit your tournament for approval! We’ll just need to know your Estimated Number of Attendees, and if you're interested in shops or fantasy! Once our team looks over your tournament, we’ll approve it and you can begin setting up your tournament! You will receive an email with a link to your approved tournament, and you’ll also get notified in your support chat! Please allow for at least 24 hours for tournaments to be approved. There are few reasons we might Deny your tournament. If we deny your tournament, you’ll receive an email explaining why, and actions to take in order to fix them. Once this is fixed or completed, you’ll need to go back to Things to Do and re-submit your tournament. If you’re new to online tournaments or running a big in person event for the first time, we’d like to schedule a demo call with you to ensure your tournament will be successful! Check out this article for more information on our demo calls.